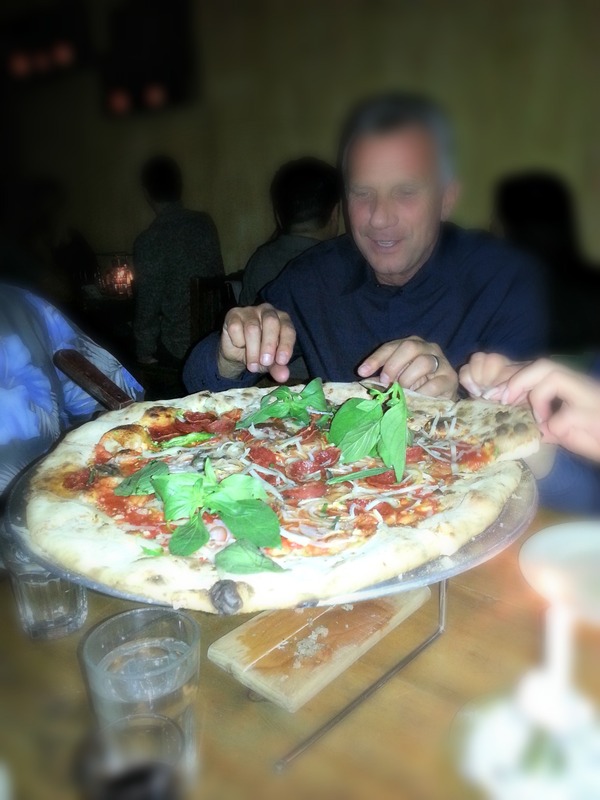 I had dinner at Lucali the other night. It’s a special little restaurant in Carroll Gardens, Brooklyn. 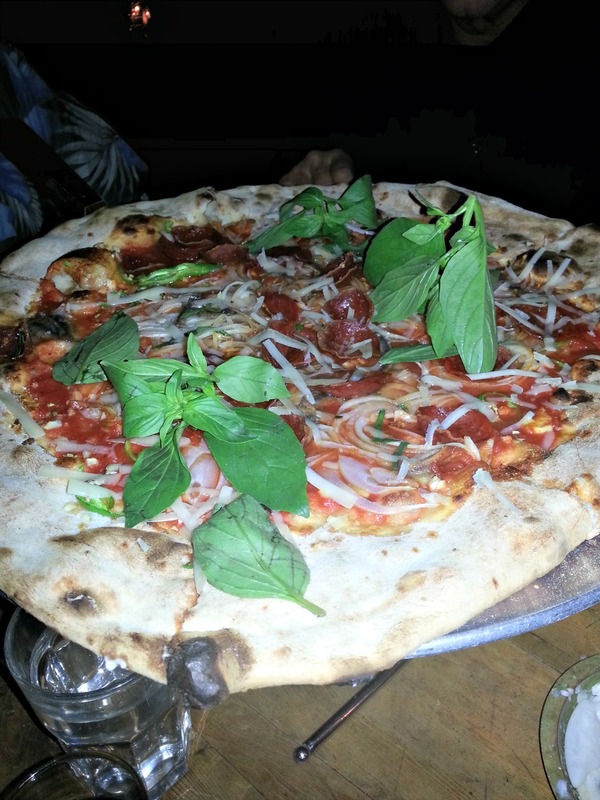 Lucali serves pizza and calzones. That’s it. Take your pick. Lucali is BYOB and cash only. Fortunately a member of our party brought a really enjoyable homemade red wine. 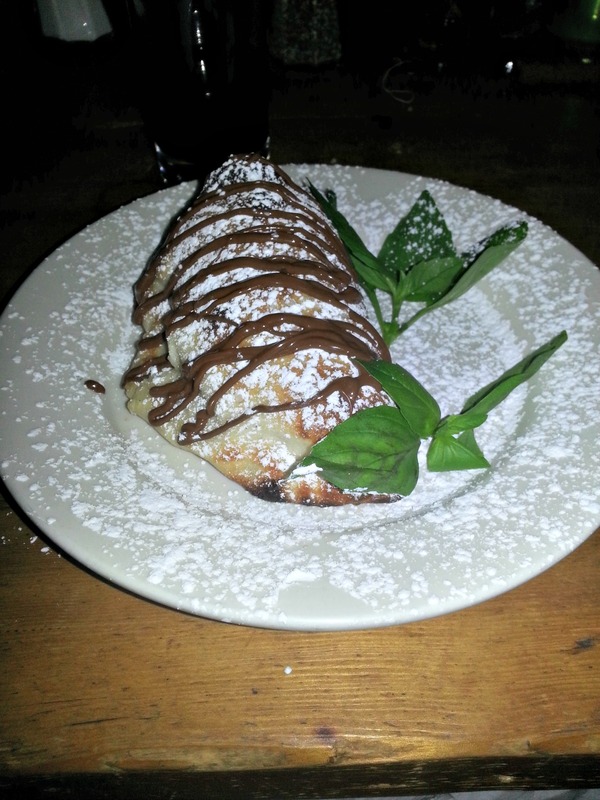 For dessert, we had calzones filled with sweet ricotta, drizzled with nutella and dotted with sea salt. Miami folks, Lucali recently opened a location there too. This entry was posted in Food, NYC and tagged brooklyn, calzone, Carroll Gardens, food, Italian, Lucali, Mike Iacono, new york, New York City, nutella, nyc, pizza, pizzaiolo, restaurant, ricotta on April 29, 2013 by onechicklette.